Our service is second to none. Our team of trained and friendly professionals ensure that our customers get the best Christmas catering that they deserve. We strive to ensure that you get exactly what you require. We love to see our customers delighted when they sample our canapés, and enjoy the knowledge that we’ve exceeded their expectations. After getting in touch with us, you can rest assured that your Christmas functions in Sydney are already successful. 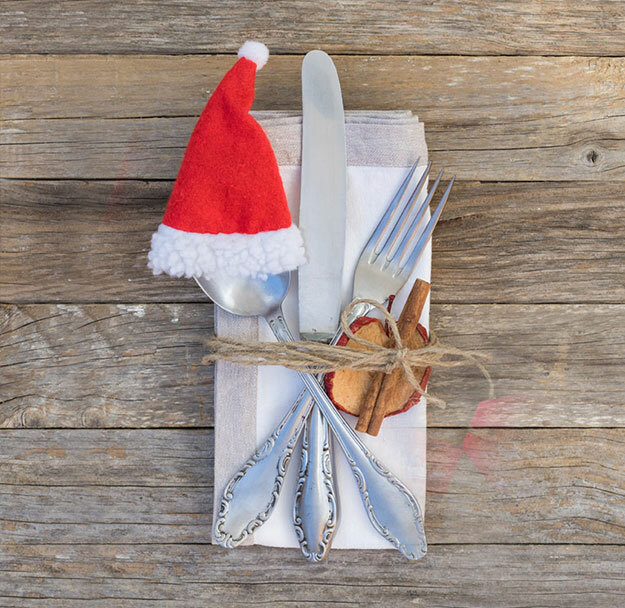 You can trust our staff to get you the tastiest of food served in the most creative styles for your Christmas Parties, big or small. Give us a call on (02) 8407 9023 to book the best Christmas catering in Sydney. After working so hard throughout the year, we all need a good celebration; get everyone together, exchange presents, have a few laughs, and enjoy the end of year celebration you all deserve. Don’t worry about the food; we can take care of that for you! At Salt of the Earth, we take care of Christmas party catering throughout Sydney. We have customised menus that have been designed especially for these events and include all mouth watering dishes at very affordable prices. Christmas is our favourite time of the year and we love catering for it. Our clients and their guests have always commended us on our food, its layout, and our service. We pride ourselves on maintaining high quality food without compromising on its presentation and taste. Our chefs are trained and experienced in putting forward excellent dishes prepared to perfection. All the ingredients used in preparation of food for Christmas parties in Sydney are of the best quality.